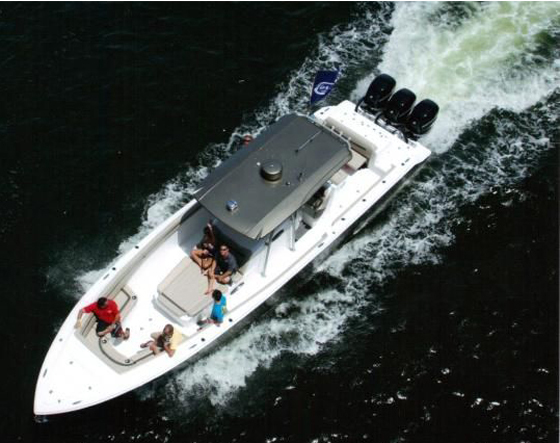 At sixty-four feet this Absolute Flybridge Yacht is the optimal size for any boater. 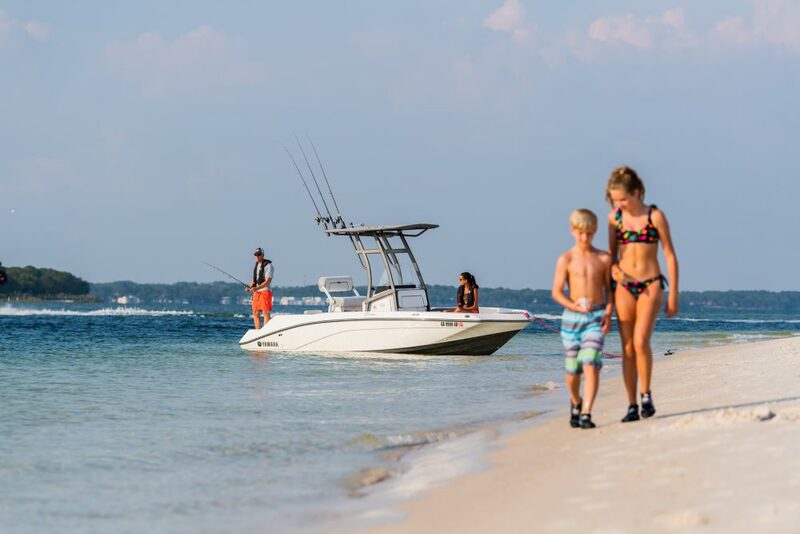 With an “absolute” yacht-like feel onboard, while still being maneuverable in any marina is the reason why several manufacturers build this style. A boat of this size has the space, comfort, and technology for long stints onboard yet can still be handled by just two people. That is about where the similarities end between Absolute Yachts and the competition. 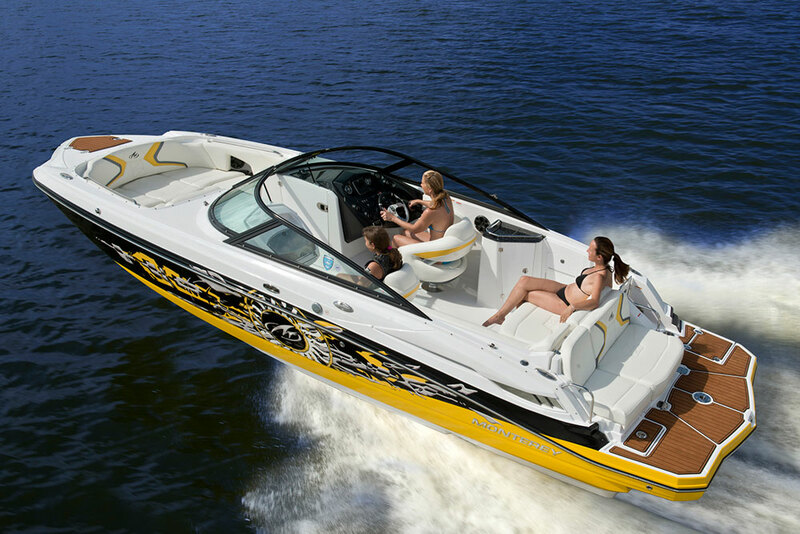 Absolute puts its Italian heritage to work which is apparent as soon as you climb aboard. As you move into the salon you’ll feel a quite noticeable sense of openness, not compromising the luxurious Italian look we have grown to admire, her exterior is sleek and interior is comfortable. Another feature boaters love inside the salon is the surrounding mirrored glass windows which exude an ultra-modern look from the exterior but allow the light to shine freely throughout the salon showcasing her elegant interior. An electric actuated pop-up television will keep the little ones onboard entertained as the adults enjoy a sophisticated conversation in the galley while preparing a meal. 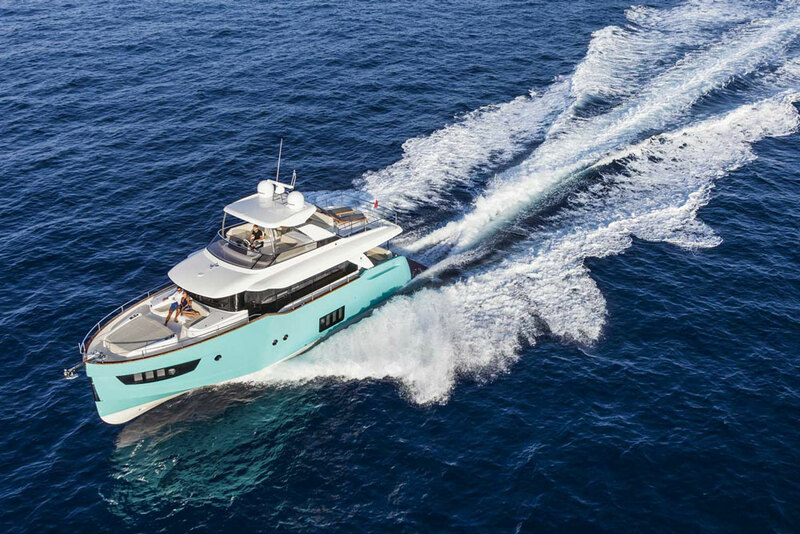 Alike the other well-excecuted models in the Absolute Yachts flybridge line, the 64 Fly's bridge is as dramatic as it is functional. A full grill top, sink, refrigerator and a dinette that can comfortably fit eight guests for an enjoyable meal with your choice of ocean views. The lounge space adjacent to the helm allows the Captain to hold a conversation with guests - sans having to yell. Aft facing lounge chairs gives the flybridge an additional and optimal gathering destination for your those onboard. Absolute is redefining elegance with all their current models and the 64 flybridge is certainly an example of that. The curved lines, tasteful leathers, exceptional fit and finishes, raindrop shower spouts are all an added value appealing to those who spend their free time on the water. Just imagine…once you close the door entering your full beam master suite, the worries of the work week just seem to disappear.